This week's Iron Craft challenge was String Theory. 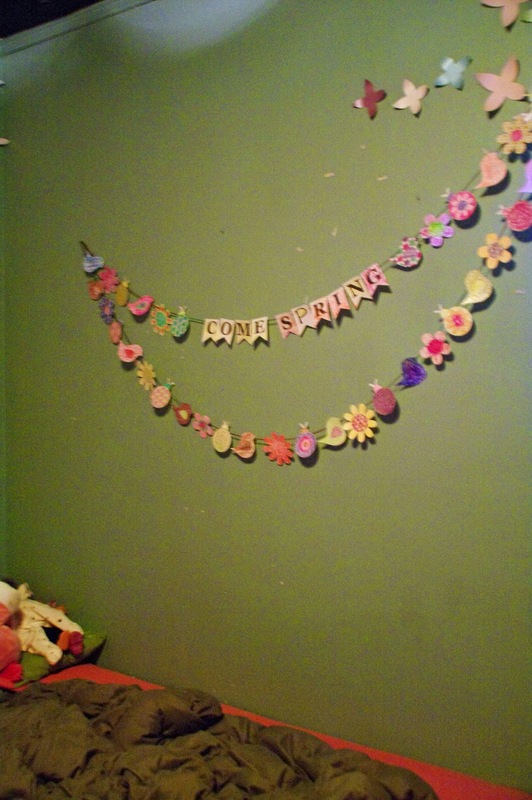 I decided to apply it to our household efforts to entice Spring to return. I downloaded some templates and the Lotus Bud and I found another project to help us get through yet another cold day. It took me quite a while to figure out that the misspelling on our banner was not our fault alone. 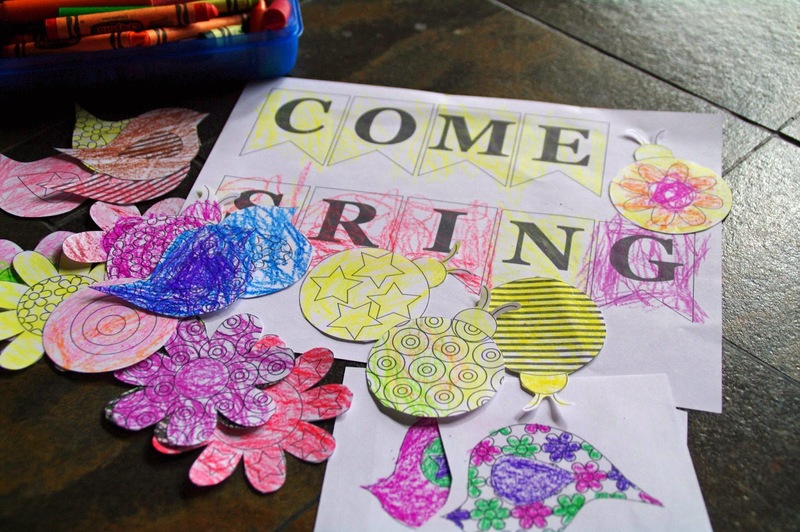 We colored, we cut, we pulled out some yarn, we used tape. It was a project that happened in multiple stages so it was a good way to spend an entire afternoon indoors. 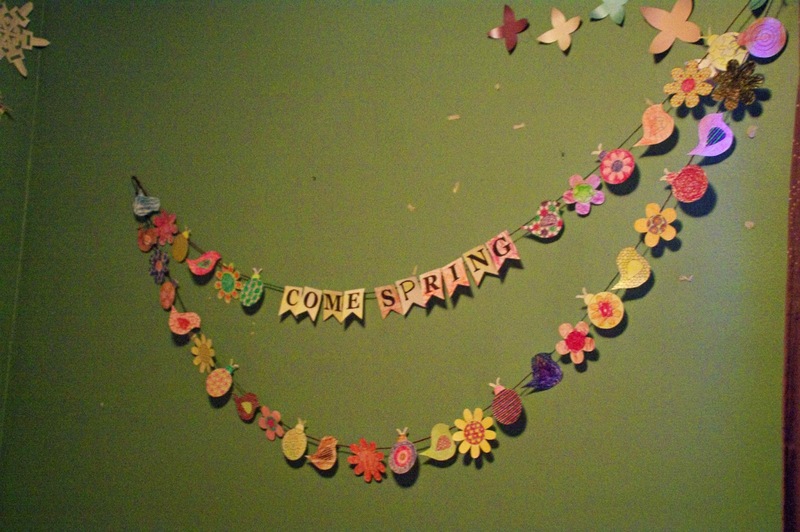 Finally, we hung our banner and we said a prayer for Spring. 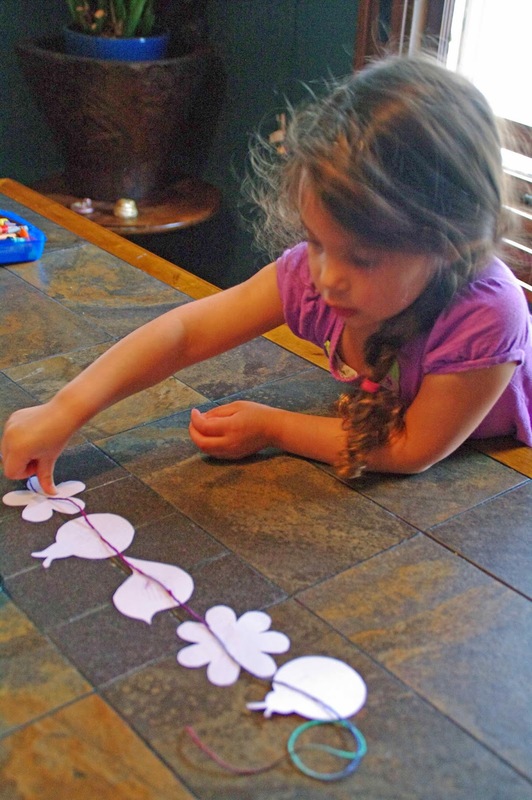 We also made a point to remove paper snowflakes and snowmen from the house. We tried to remove any mixed messages about the weather change from our lives. We did good! Now if only Spring would hear our pleas, everyone in the region would be much happier. It does look like a great stuck indoors project. Before you get too bored you can move on to the next step.